Havering is celebrating after being nominated for a national award for its innovative new centre for children leaving care. 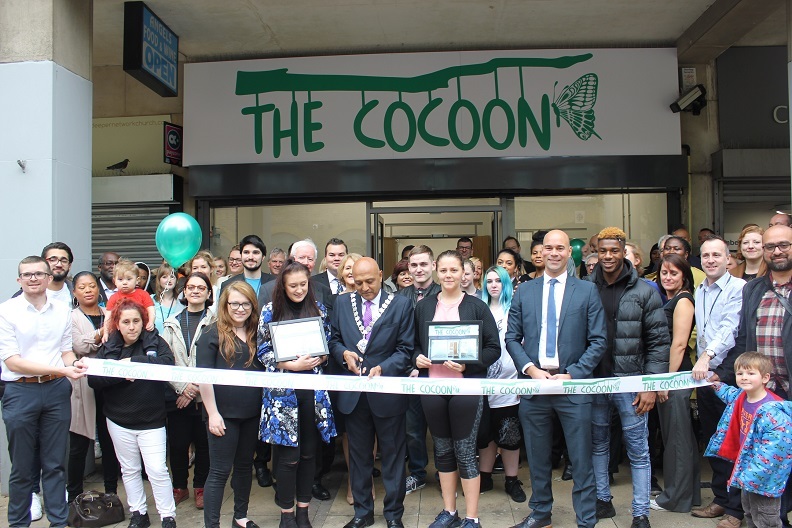 The Cocoon, which opened in Romford Town Centre last October, has been nominated in the Leaving Care category of the Children and Young People Now awards. The nomination comes just weeks after Ofsted described The Cocoon as “highly impressive” during its inspection of children’s services, which was rated overall as “good”. The centre, an example of Havering working in partnership with young people, provides a safe drop-in space for children and young people living in care or leaving care. It provides a venue where they can meet with key workers and get support for their personal development. Young people have been able to use the centre to develop life skills such as learning to cook, access training, receive additional education support and get help with housing and health. Its aim is to help steer children and young people towards independent living. “This is fantastic news. The Cocoon is a unique concept which was developed with children in care and care leavers to ensure it was what they wanted and that it would suit their needs. “They were able to help with the design and layout of the space, right down to its naming and branding. We are thrilled that it is being acknowledged in this way and is a serious contender for an award in the Children and Young People Now Awards. The award winners will be announced on 21 November 2018.